will the phone slide up and down like the 8800 or is it mecanical. Hello can u tell me from where u bought it ? hi people i just got my N91 today and its loads of fun .!! the sound quality is awesome n the size ain't that big and fits into your jeans perfectly. it is actually very user friendly. well people who r confused for purchasin this phone all i wanna say is go ahead n get yurs before nokia gets out of stock.! Hallo, can you answer for me: is there any differences between Wi-fi 802.11 g and Wi-fi 802.11 b/g ??? Thank you !!! Please, NOKIA fanatics, answer for me immediately, because I am choosing between N 80 and N 91 ! You can write to my email - mindaugas.praspaliauskas@gmail.com, thanks a lot. I know what u mean. I' m just pissed off with all those N91 lovers how meant to say that this phone is the ultimate. Where they are now? they have simply spend over 1000USd and happy for what they have spend for regardles of what. How do you use the video call then. When placing a call you have the option to choose video call also. The slide is not like the 8800. Ok so that is a light sensor. Then how come that is missing in the other pics. Does that means the released verson doesnt have the sensor? As I understood there is no video calling in N91. Am i right? Sorry man, my friend who has one in HK says it's not, but he's only got it a little while ago so he does not realy know where it is then.Looks like a realy nice phone! To launch two new Nseries models soon. Nokia has announced the launch of its third Nseries device, Nokia N91. It is planning to launch two new models in the Nseries over the next couple of weeks. The company has also joined hands with famous music director A R Rahman for mobile music initiatives. Addressing a press conference, Gautam Advani, director - multimedia, Nokia India, said that N91 was a digital right management enabled device which could provide a storage device space of 4GB and could store up to 3,000 songs. He said that the company was seeing a growth momentum in all the three segments – digital imaging, music and gaming – of multimedia phones in the country. However, a lot of awareness and education needed to be created, he added. As part of its efforts to create awareness and drive the business, Nokia will be looking at tying up with service providers, label owners and others. The company has joined hands with music maestro A R Rahman for his music initiative 'Pray For Me, Brother.' As part of this relationship, Nokia presented its first N91 music smart phone to Rahman. The company will be conducting a series of events and activities across the country. The proceeds generated from the events and the sale of the album will be donated to United Nations for poverty alleviation. This move was to build the mobile music domain through collaboration with the best in the industry, besides providing cutting-edge smart phone capabilities, he added. Priced at Rs 33,000, N91 would deliver seamless switching between the integrated functions of music, smart phone and imaging and offer 12.5 hours of seamless digital sound. The phone does have vibration. Does the phone have vibration?????? 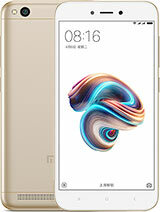 Can someone who HAS this hone please answer my questions, first of all what do you rate the screen out of ten and is the quality good and is it big? When you slide the music controls down does the keypad backlight come on or does it have any lght sensor(I don't have the phone but that little circle above the screen is not a light sensor because it does not sow it on the nokia website).Does it have any preloaded games, if so what are they?What is the camera and video quality like and do you hold it like a real camera, how many steps is the zoom? please reply. & let me know what do u think about the N91..